Alright, alright, I'll be the first to admit that I have always been skeptical of kale. Always. It's green, why would it be good in anything other than a salad? Why would I think it tastes good? Is this one of those things where you pretend to like it to seem cool? Because that's what it seemed like- something that you pretend to like because as a generation obsessed with EVERYTHING healthy, it seems sacrilegious to not like this supposed super food. So hear me out on this. It has seriously changed my life. My mom, who's not typically a fan of trying things out like this, picked up a bag of it from the grocery store and we had a blast yesterday putting it in so many things. First, we tried a smoothie recipe that she'd gotten from a friend, and still skeptical, it was one of those 'let's drink it together because I have no clue if this is gonna be good' situations. It looks like pesto and with the ingredients, you wouldn't think it was good. 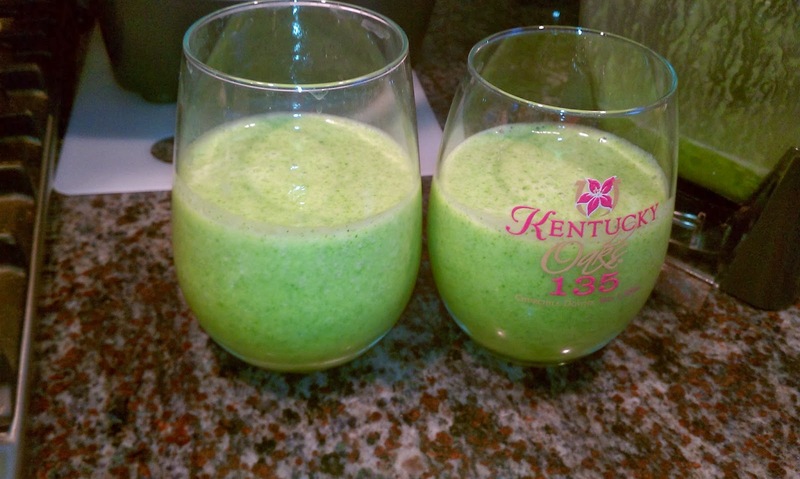 But after a sip, we both looked up and realized that we were in love with this kale smoothie. Look at what I've done to her. Bending down to get the perfect shot of the smoothie. Mom just got a new smoothie maker/blender, called Ninja. They have these sweet serve and go cups, but we just used the big one for this. IT WAS SO GOOD. 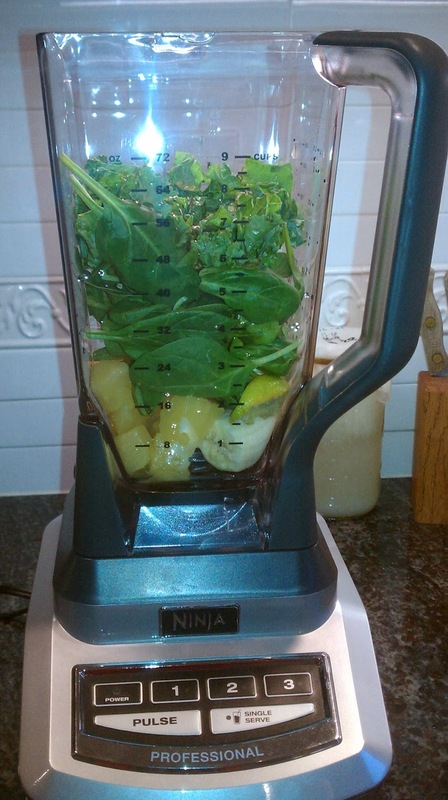 The pineapple and honey made it so sweet, you wouldn't even realize that it had kale and spinach in it! We're so excited to try all of our other recipes with it. Serious question-- what do you like to put in yours? I need some protein additions as well, so any thoughts? Hook a kale-lovin sista up! Then, we of course had to try the prominent kale chips that everyone raves about and just used the recipe on the back of the bag. And I thought the smoothie were amazing-- these kale chips were OUT OF THIS WORLD. Like I couldn't believe that I was eating leaves as if they were normal potato chips. I paired the kale chips up with the rest of my amazing lunch, toast with hummus, avocado, and a sprinkle of salt. You've probably seen this on Pinterest, but for right reason. It's so simple and so amazing. Plus, totally vegan! 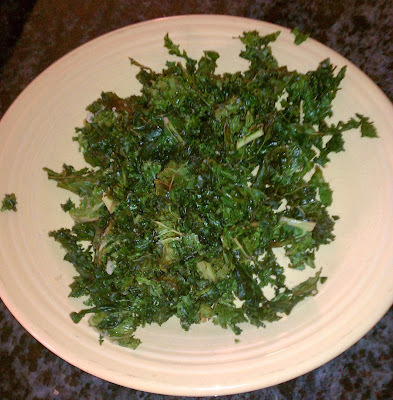 Recipe: Dry leaves and toss with 2 tbsp. of olive oil, then mix in 1 tsp. of salt. Put in a single layer on a cookie sheet and bake for 15 minutes, or until crunchy. So, I'd say that on top of the discovery of kale, the rest of the weekend was pretty great. Saturday, I went to the Basic Web Development class at Awesome Inc. Yeah, it was AWESOME. I have spent my whole blogging career trying to get by with only barely understanding what HTML was, even though it's the entire background of my blog. Like, social media buttons were so confusing when I had no clue what any of it meant. Earlier, I had done some stuff with Codecademy without really finishing anything, just getting an idea of what all this stuff was. But this class was awesome because it went into the detail of HTML and CSS (never had I known that CSS is what makes everything pretty! pretty's all I care about). I mean, everything that I could know about starting to develop web sites was right there. And of course, I found out some things that helped me with my own blog-- centering my header, tabs, and embedded videos. It doesn't seem as scary as it once was! Want to get involved in the #LearnToCode movement? CHECK IT OUT. Besides the kale fun yesterday, it was mostly just a chillin' Sunday. Part of church was cancelled because of this snow/ice craziness, so I slept in and watched football and SNL with my family. And guys, if you didn't watch SNL from this past Saturday with Paul Rudd and One Direction, please do it. It was so funny. Paul Rudd, if you ever are so inclined to read the blog of a high schooler that blogs about her random life, know that I love you. Then, my best friend Kirby and I got tweeted and retweeted by Calvin (aka the Twitter celeb that I want to be my best friend). @kirbyfitz12 @mlscroggin I love this. And on a more serious note, someone shared this on Facebook and I felt inclined to tweet it and share it here. Those with mental illnesses are people that I find very dear to my heart and when people treat mental illness as if it's a choice and something you can easily get over, it makes me hurt. So just keep this in mind. It's not something that can be fixed by changing your mind about it. I hope that everyone has a fabulous week and if you have finals like I do, GET WERK DONE. I believe in you and you can do it! I practically live on smoothies during the summer when my lifestyle is very much eating on the go. My favourite combination is spinach, kale, raspberries, mango, peaches, strawberries & banana! That sounds absolutely incredible!! Will most definitely try, thanks! I want to try those recipes now! I doub my husband ever would but more for me! Hahaha my mom and I tried to get my dad and my brothers to try it, but were still too scared. We're working on them! Let me know how it goes! Try frozen bananas too! It makes it creamier. A recipe I love uses kale, spinach, banana, blueberries, and mango!